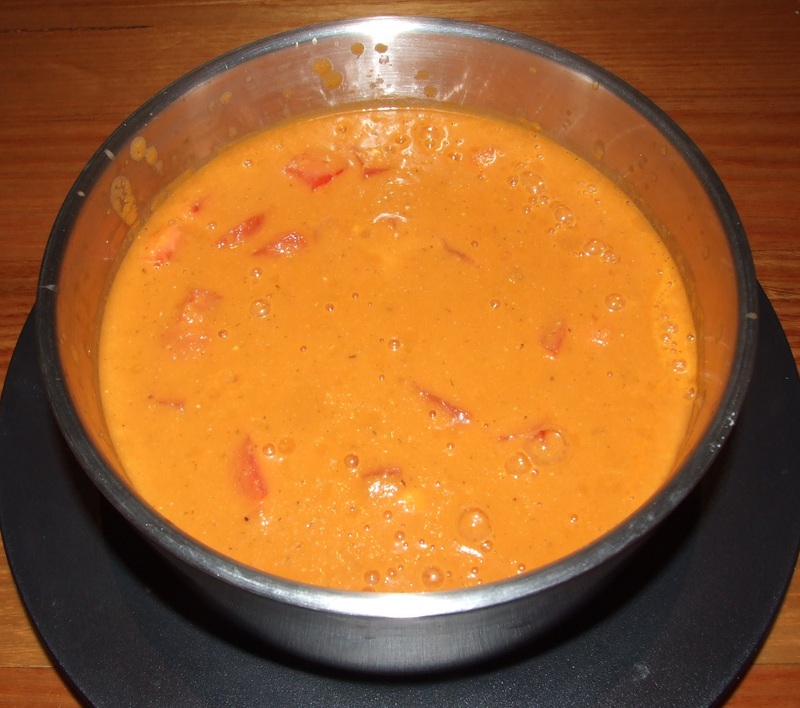 This is a very nice tomato soup that I found in the “How it all Vegan – Irresistible Recipes for an Animal-Free Diet” book by Tanya Barnard & Sarah Kramer. My contribution is the addition of the Raw Cashews as it adds an extra creaminess to the soup. Saute onion (minced), garlic (crushed), salt , dill & pepper on medium heat until onions are translucent. In a blender or food processor, blend tofu and cashews with 1½ cups of broth until smooth. Add to soup pot and stir in freshly diced tomatoes. I love the silken tofu & cashews in here: this all make the soup even creamier & tasty : yummy!